Date: Feb 25 2019, 5:30 p.m. - 9:30 p.m.
Get your wood safety certification card in this first class of the wood working series. In this one-evening class, you will learn the rules of the shop, along with basic woodworking techniques. 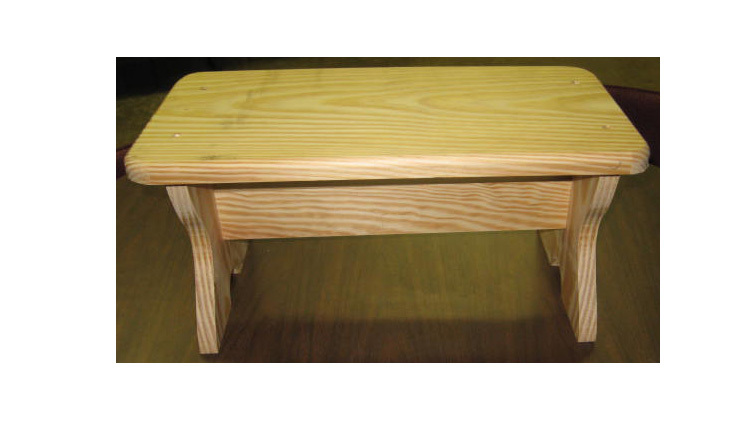 You will make an attractive, functional step stool. After completing this class, you will be able to use the woodshop on Do-It-Yourself days (Friday and Saturday) and take other woodshop classes. You must be 16 or older to use the woodshop.